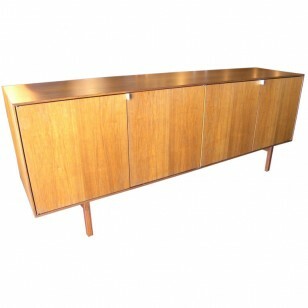 Sweden, 1950s This maple sideboard was designed by Edmund Spence and manufactured in Sweden. It features eight drawers and one cabinet that houses shelving and an additional drawer. 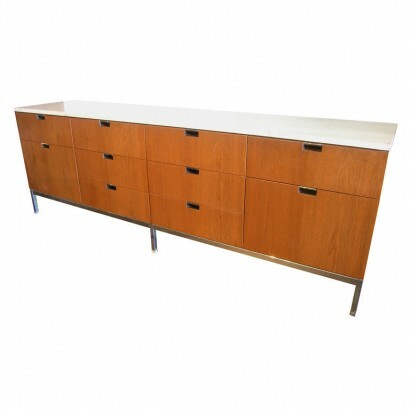 United States, 1970s Mastercraft constructed this stunning sideboard, attributed to William Doezema. The honey-toned amboyna burl wood case features four brass-welted doors accented by large brass chinoiserie pulls. 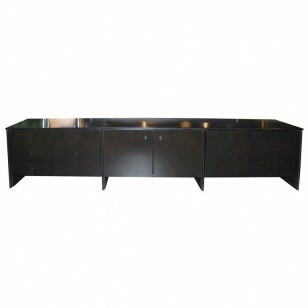 The doors conceal a drawer and an adjustable shelf on either side.